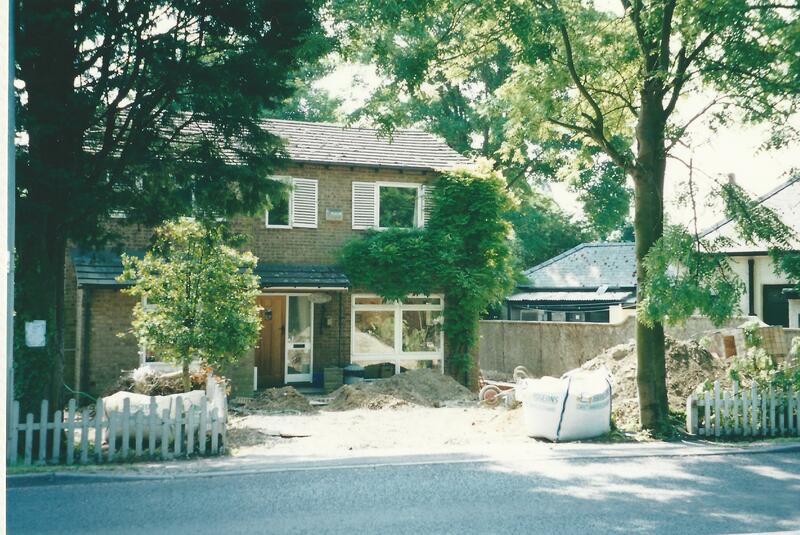 Whilst 2a High Street (formerly called Hewit House) is a 1970s built house, the land it stands upon has some history. It was part of a plot owned by William Long, one of the major landowners in Harston in the 19th century, which extended from what is now 8 High Street to The Pemberton Arms. The whole plot, which included Forge Cottage (now 4 High Street) and the smithy, was purchased at auction by Joseph Lawrance, the village blacksmith, in 1893. At the same auction The Pemberton Arms, also owned by the Long family, was sold to another bidder. 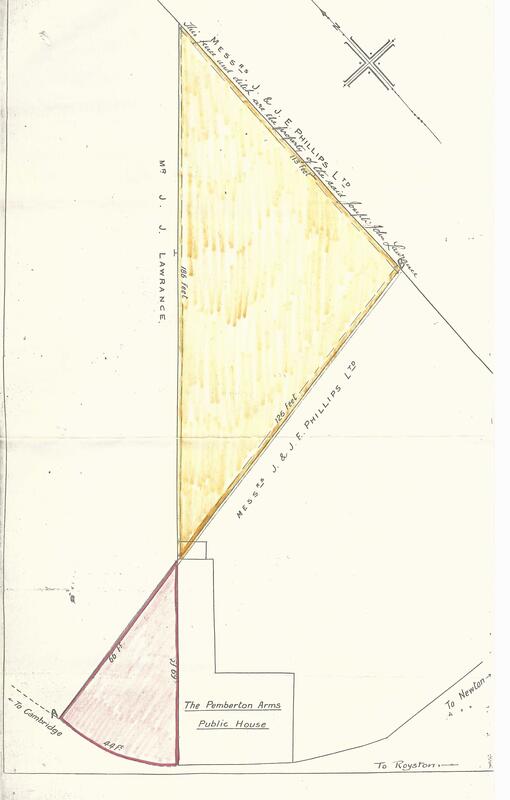 This left Lawrance with a triangular piece of land on the High Street right next to the Pemberton Arms building and the pub with a triangular piece of land behind Lawrance’s plot. 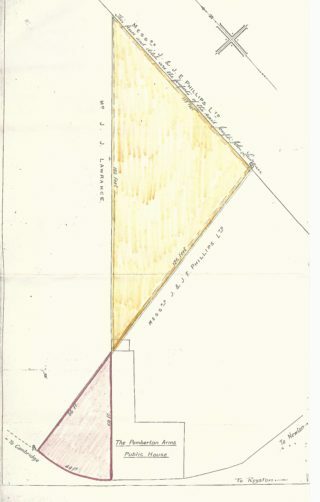 This situation was resolved on 16 July 1928 when, according to the Abstract of Title of 4 High Street ‘Joseph Lawrance sold for £50 to J & JE Phillips Ltd a triangular piece of land adjoining The Pemberton Arms having a frontage to the Cambridge-Royston Road on SW side of 44ft and containing on the North next to the property of JJ Lawrance 66ft and on the SE next to The Pemberton Arms estate 69 ft.’ He also received ‘the land lying at the rear of & forming part of The Pemberton Arms estate containing on the NW side next to the property of JJ Lawrance 186ft, on the E side next to The Pemberton Arms 113ft & on the S side next to The Pemberton Arms 126ft.’ Also Lawrance was to erect & everafter maintain a concrete wall at least 5ft high between A & B on the plan. This arrangement allowed the Pemberton Arms to build the extension which still stands on the left of the building. It also gave Lawrance a much more usable rectangular plot to the righthand side of his cottage. Harry funded this purchase by borrowing £2000 from Geoffrey Taylor Hurrell, last repayment of £500 to Hurrell was made on 18 April 1964. On 23 June 1964 Harry made aDeed of Gift giving land containing 4 High St to his son Eric Oswald. The plot was 86ft on High St, 192ft by The Pemberton Arms & 60ft 6ins to rear. Eric covenanted with Harry to erect a fence along NE boundary. This plot excluded the land containing the forge & associated buildings but include the cottage with its garden stretching to the boundary with the pub. 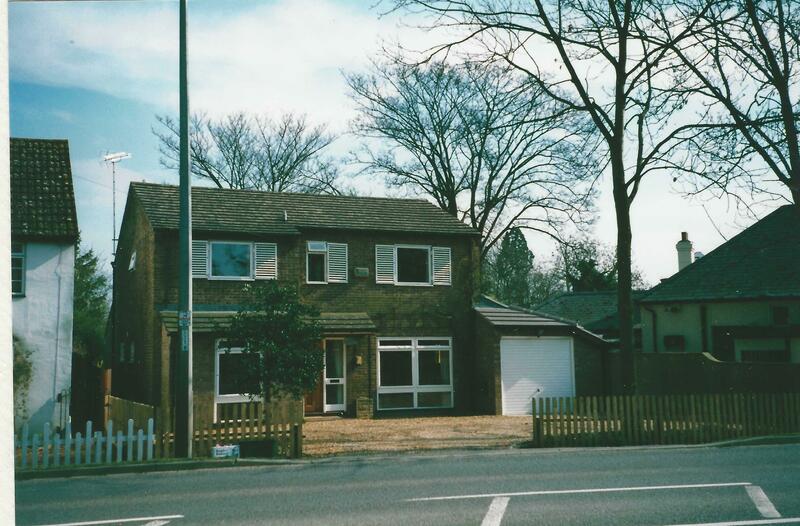 Subsequently the garden plot was sold and what is now 2a High Street was built. 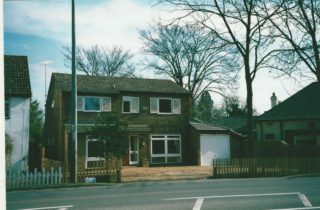 A garage was added to the property in 2002. This page was added on 26/09/2017.